Flower gardens are a beautiful way to spruce up your yard. However, unless you have a spectacular talent for growing things or you are an experienced gardener, planting a garden from scratch can be a daunting task. Follow these tips on how to plant a flower garden so you can have a flourishing garden even if you are new to gardening. One of the most critical aspects of planting flowers successfully is having some knowledge about the area you wish to plant in. 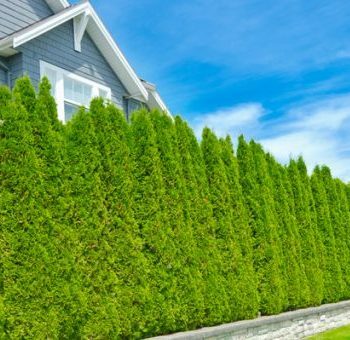 Gardens in different neighborhoods will have different needs based on a variety of factors, like whether or not you live close to a body of water or how cold the winters are. Before you buy plants or seeds to put in the ground, do some research on your area of residence and what kind of flowers grow best there. For example, researching the frost cycle in your area will ensure you choose flowers that will last longer and help you decide when you should start your seeds. Unless you would like to use raised beds and completely new soil, which is more common with vegetable gardens, a soil test is an important part of the necessary research. A soil test will let you know what your soil is abundant in or lacking, as well as help you know what will grow best in your garden. No soil is perfect for ideal growth from the start. Luckily, compost is a great way to add nutrients to your soil. You can collect and cultivate your own compost or purchase ready-made compost. Grass clippings and dead leaves are another easy addition that will work with the compost to enrich your soil. Composting is a great way to put unused pieces of vegetables, eggshells, and other organic substances to good use. Before you start working in the garden, have your design in place. Your vision for where you want your flower bed, its shape, and how you want to organize your flowers, will come to life best if you plan it out well and know exactly what kind of timeline you will need to make it happen. This is especially important if you cannot accomplish your entire landscaping plan all at once. You will also need to see where shade falls throughout the day, so you know where to put certain plants that need more or less sun. Depending on what exactly you want to grow, planting itself should happen at certain points of the year. Some seeds require some attention and growth apart from soil for a number of weeks before being planted. To avoid that part of the process, simply purchase young plants that are ready to transplant into a garden. Generally speaking, April tends to be a good month for putting seedlings in the ground. That’s because freezing temperatures are typically over, but squelching heat hasn’t started yet either, so it gives your plants a good window of time to grow bigger and stronger. That way, they’ll withstand the months of more extreme weather with fewer casualties. Landscaping flower beds don’t have to mean endless hours in the yard, entire afternoons on your hands and knees, or confusion over whether or not you’re doing things the right way. Whether you need help with landscape design or you want to add lighting or water fixtures to your yard, Plant Professionals can make sure it looks perfect from the get-go. We can also take care of all your maintenance needs. Contact us today to schedule a free estimate.